Acting as a gateway, the North and South Mesas are the entrance to the foothills town of Golden, CO. Hike the trails and discover the panoramic views! A walk around this loop makes you feel as though you’re on top of the world! From Denver, head west on I-70, exit at Highway 58 West. You’ll drive between the two mesas take a right on highway 93, heading north. 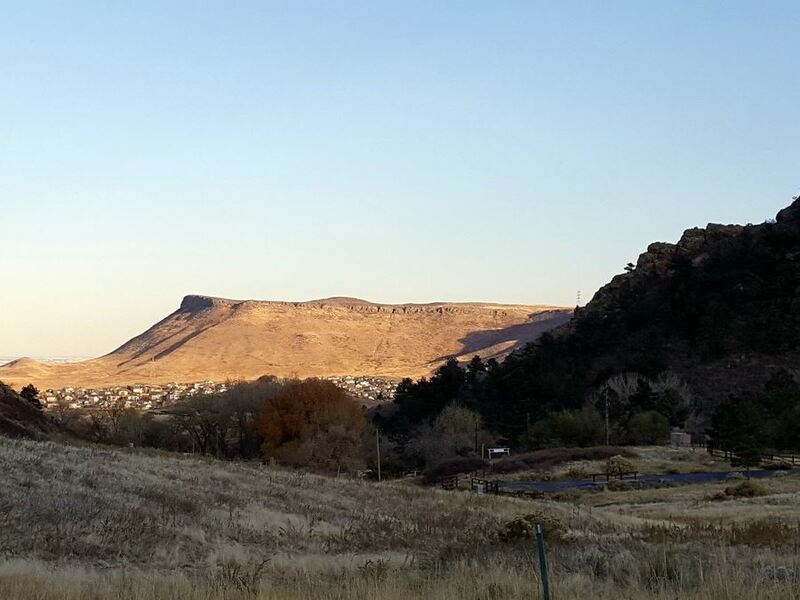 In just a couple of miles, you’ll see North Table Mountain and the clearly marked parking lot to the right. 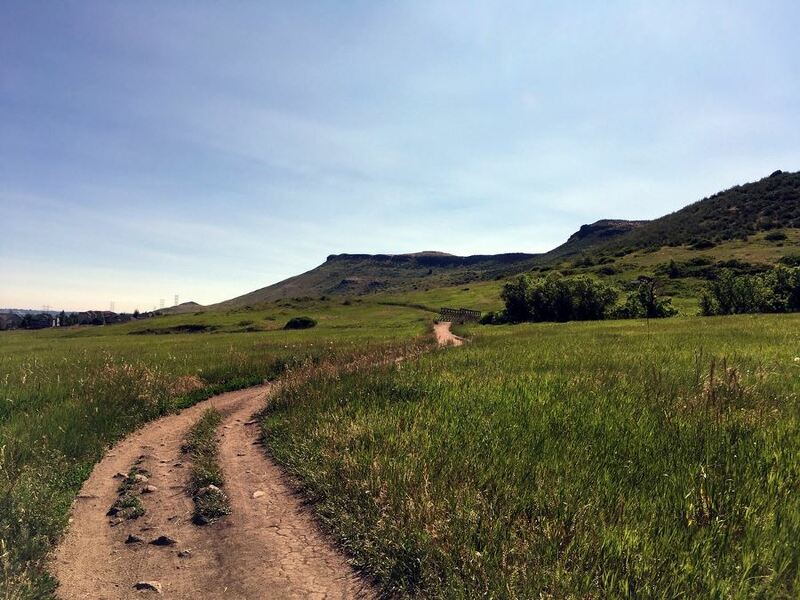 There are over 27.4km of trails to hike, bike, run and climb at North Table Mountain Park. 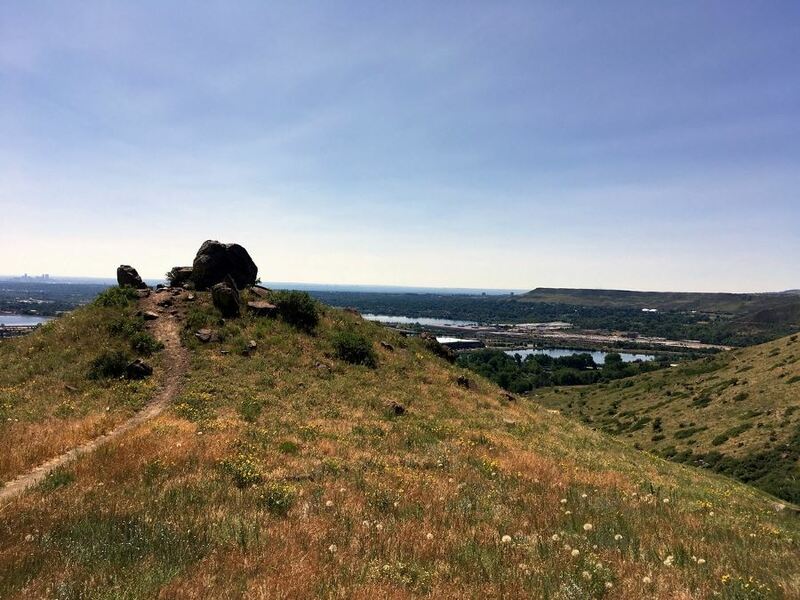 The rim trail provides amazing views of Golden, the surrounding foothills, and distance views of Denver. However, the top of the mesa is unique and provides an “other-worldly” feeling. If you’re standing in center, you aren’t able to see the surrounding cities and it feels as if you are in a whole different place. You can pick up the North Table Loop trail from any of the parking lots and hike around the perimeter of the mesa in either direction, but to get the most from this park, start at the main parking lot on the west side and hike clockwise on the loop trail, catch Cottonwood Canyon Trail to the top to the Mesa Top Trail. Before you start, check the info board for any trail closures due to raptor nesting. Also, be aware of rattlesnakes during the hike. Most are active at dawn and dusk, these snakes are spotted quite often and don’t always rattle. I recommend wearing loose fitting pants even if the weather is warm! From the parking lot, head north on the North Table Loop. Find the dirt trail at the far north side of the lot at the driveway. You’ll start off on an easy hike through the meadow. To your left, you’ll see the white rock “ribbon” that marks the ridge into White Ranch Park. Look straight ahead and you’ll see the Flatirons of Boulder in the distance. Following the signs for North Table Loop, you’ll get to a turn off at 1.6km for Mesa Top Trail. Keep to the left, following the base of the mountain. This will give you a more scenic hike before you catch another trail to the top. For the next 1.6km you’ll look out over the outskirts of Golden and Arvada as you curve around the mesa. 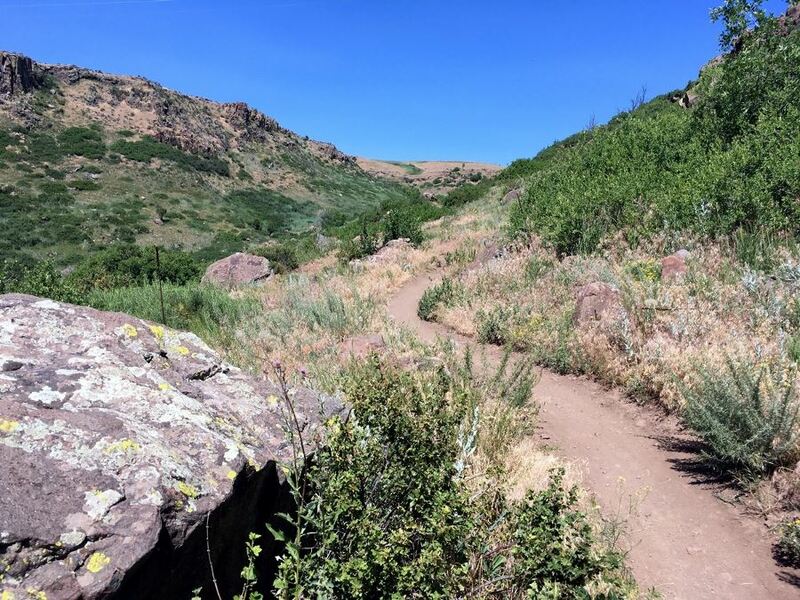 Three miles into the hike, you’ll have another chance to cut the trail short and head straight to the top, but keep going, staying left on North Table Loop Trail to catch beautiful views of South Table. 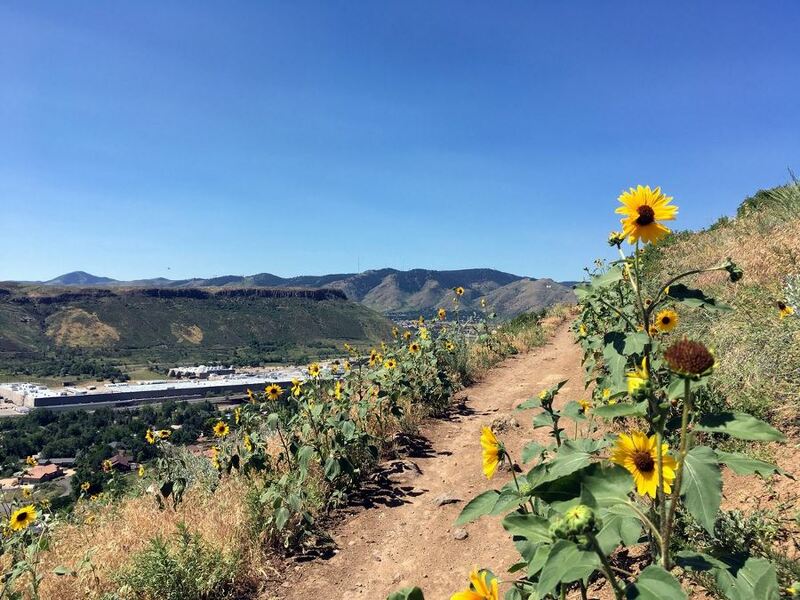 You’ll pass Lithic trail (which takes you to the eastern parking lot and the Fairmount trail into Arvada). This is where you’ll start your ascent to the top. Now on the southern side of the mesa, looking in front of you, you’ll see Coors Brewery and the “M” for the School of Mines on the face of Lookout Mountain. Looking down into the canyon you’ll see the Colorado Railroad Museum. At 6.9km, you can continue on the Mesa Loop Trail and go by the rock climbing access or keep ascending to the top of the mesa. To follow the map above, stay on the main trail, keeping right on a trail called Cottonwood Canyon Trail. 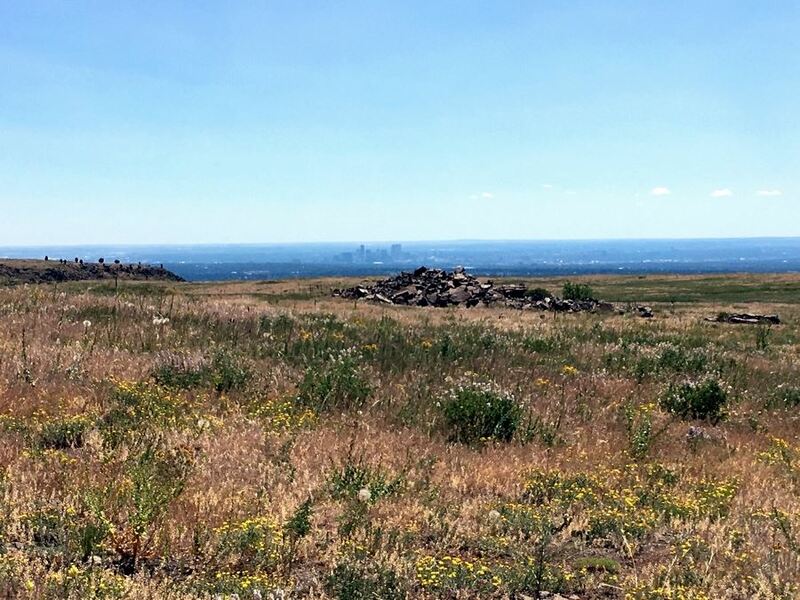 You’ll pop out at the top of the mesa, but don’t forget to turn around and enjoy the view of the city and South Table. On the top of the mesa, be mindful to stay on the trails. The off-trail ground around the top of the mesa is very sensitive. Follow signs for Mesa Top Trail to Tilting Mesa Trail. They take you winding across the flat top of the mesa. 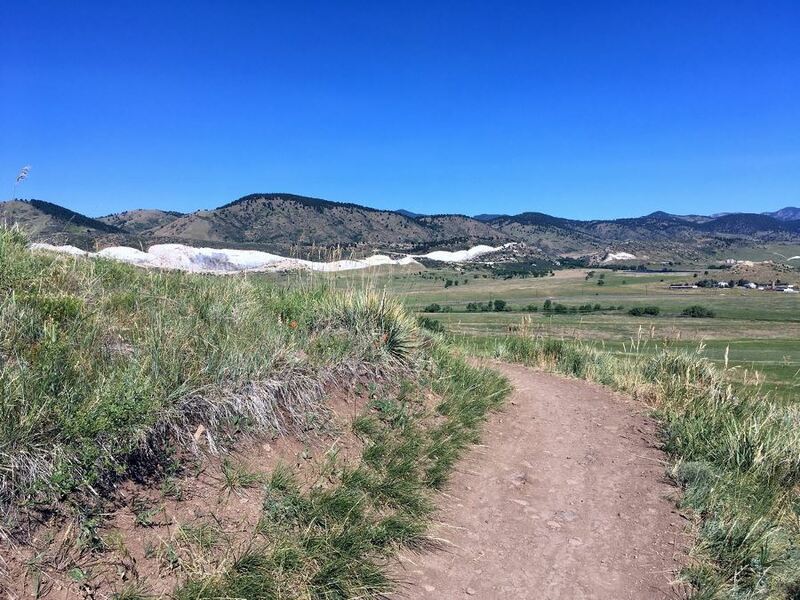 The Tilting Mesa Trail will pass by the old rock quarry and connect you to the Fire Access Road, a steep 1.2km dirt road, back to the parking lot. Right before the fire access road, you can take a side trip to the tallest point of North Table on the Lichen Trail for experienced hikers only. 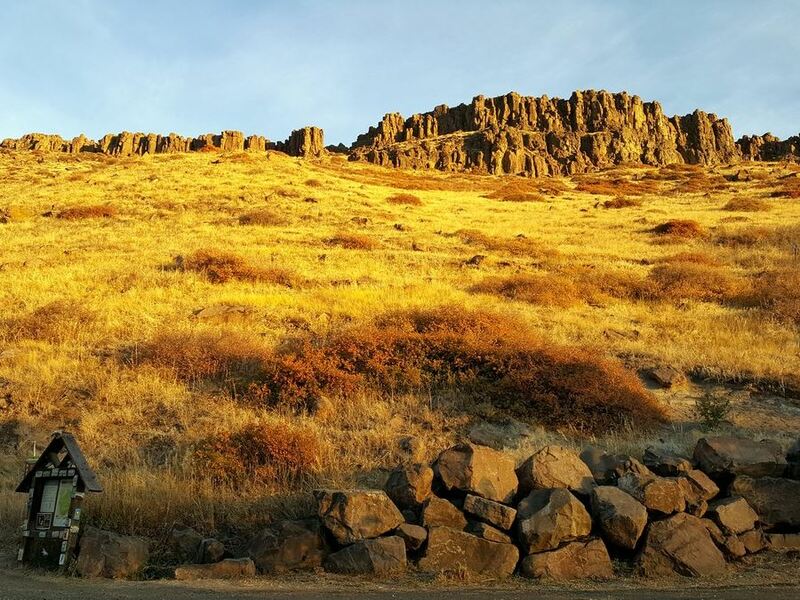 There are so many different trails and parks in close proximately to North Table Mountain Park. 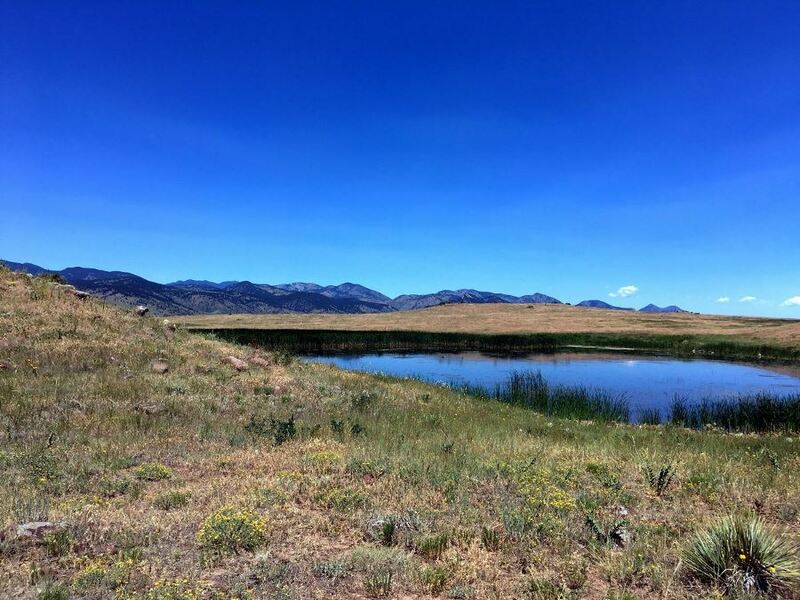 Check out South Table Mountain, Mount Galbraith, and White Ranch Park; all less than a 10-minute drive. 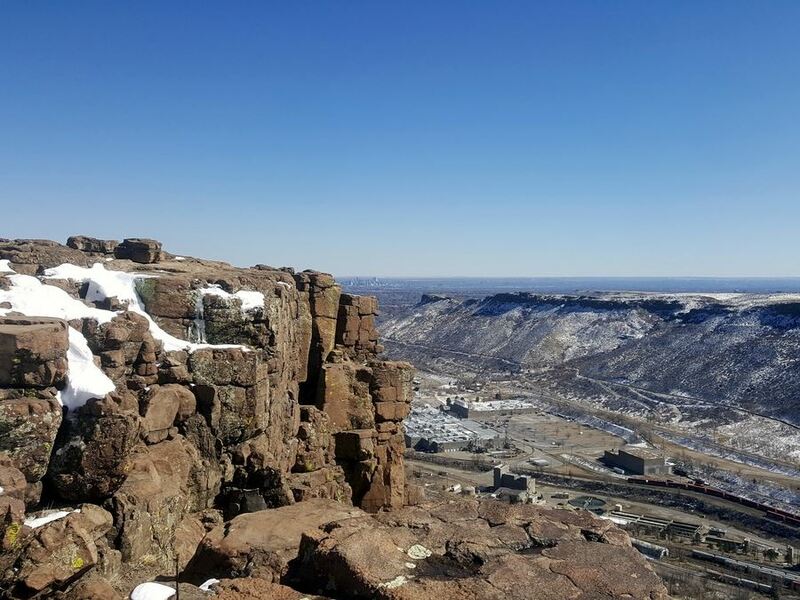 Experience North Table Mountain from a birds’ eye view by rock climbing! A great local guiding company is Golden Mountain Guides. Don’t forget to spend a little time in the city of Golden, which has something for everyone: history museums, shops, food, art and more! An American classic, Coors Brewery does free tours and gives out free beer at the end. Looking for something more unique to drink? Check out one of the five microbreweries in Golden. My favorite is New Terrain, at the eastern side of North Table.